a 33 minute compilation of the newest tracks by the most active hyde park bands. 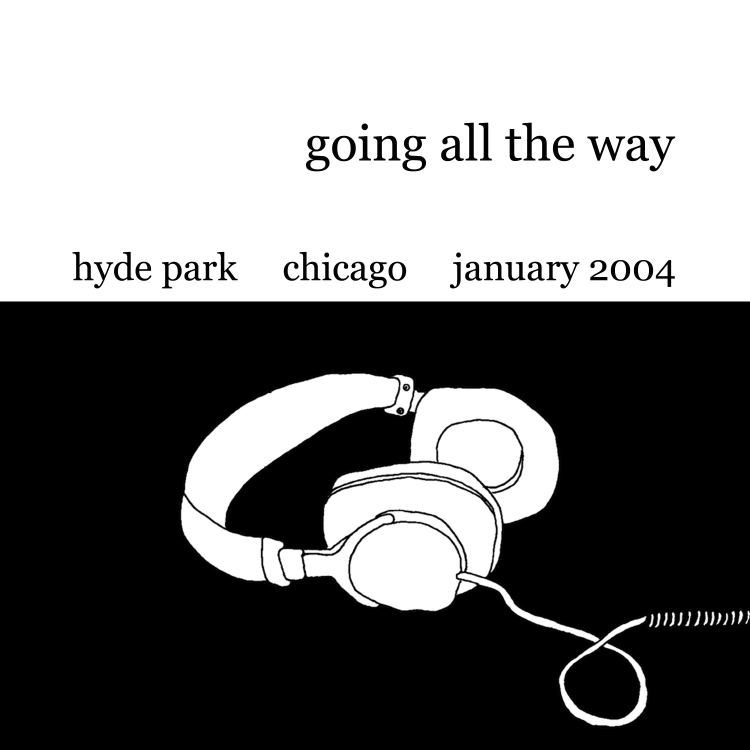 completed on jan 15, 2004 to promote the recent surge of positive musical activity. conceived as promotion for a sixtyeights show at the shoreland on friday, jan 23.
click on a band name to see their website. click on "listen" to download mp3. all copyrights are retained by the artists. this compilation is copyright ©2004 mr hyde records. tracks 2, 3, 5, 6, and 8 were recorded by loren jan wilson. tracks 1, 7, and 9 were recorded by the bands themselves. track 4 was recorded at overtone studios by ryan staples. mastering by loren jan wilson. direction and execution by ruthie hansen and loren jan wilson. cover artwork by kate wilson. duplication and packaging by chris steele, marco franco, casey owens, ian huisken, angel parra, alma perez, molly ashford, jon hersh, deirdre kelly, gabe mcelwain, nick morrison, alex coppock, dan siakel, sara johnsen, brian sulpizio, paul brannon, will long, travis carter, jon douglas, and carlos villareal.